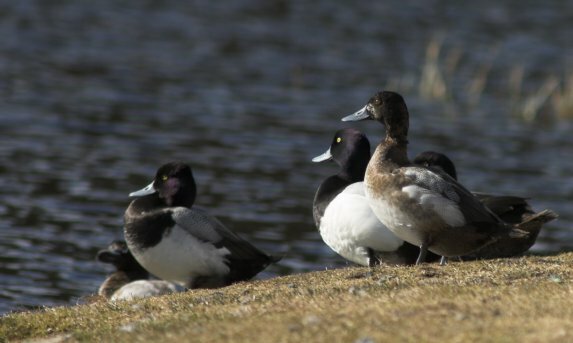 The scaup standing up puzzles me. As best I can tell, it is a first year male molting into breeding plumage. However, it seems like the wrong time of year for that according to what I have seen in the field guides.